EMBO is an organization of more than 1800 leading researchers that promotes excellence in the life sciences. Over the past 50 years, it has grown significantly from the early pioneering days of molecular biology and made many contributions to promote the development of the life sciences. Based on personal interviews with Sydney Brenner, L. Luca Cavalli-Sforza, Georges Cohen, James Watson and the directors of EMBO, this book tells the story of the journey from the study of molecules and microbes in the nuclear age to the growth and expansion of EMBO and the life sciences. It also provides new perspectives on some of the creation myths of the organization. Georgina Ferry is a science writer based in Oxford. Her work includes articles for New Scientist, Nature and The Guardian, science broadcasts for BBC Radio, and web content projects for the Wellcome Library and the Science Museum, London. Her book Dorothy Hodgkin: A Life (Granta 1998) was the first biography of the Nobel Prize-winning scientist. She has published three further books, including a biography of EMBO Council's first chairman, Max Perutz. To mark the centenary of Dorothy Hodgkin's birth, she wrote and produced a one-woman play, Hidden Glory. 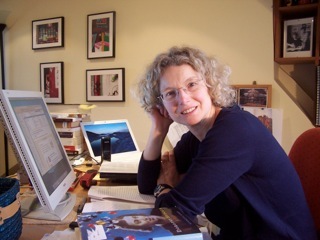 She is a Trustee of Science Oxford and sits on a number of advisory boards including the editorial board of the Biographical Memoirs of the Fellows of the Royal Society, and the British Library's Oral History of British Science project.